At one point during William Friedkin’s Killer Joe, an unexpected roundhouse to the face turns its recipient’s visage into a pulpy, swollen, glistening, blood-caked skillet of corned beef hash. Said recipient is then forced at gunpoint to fellate a grease-drenched KFC drumstick and moan in ecstasy while family members have little choice but to witness this horrendous act of violence and humiliation. He’s found it in the muse of Pulitzer Prize-winning playwright Tracy Letts. The two collaborated in 2007 on the nerve-wracking film adaptation of Bug, a paranoia-laden thriller with Michael Shannon and Ashley Judd. Set mostly within the dank, smoky confines of a sleazy motel room, both dialogue and character were scrumptiously Gothic. The story was full of unexpected beats, driving the action forward with so much mystery that we could never see what was coming. Alas, Letts lost command of his narrative in the final third, veering into predictability. In spite of this, Bug was still one of the most compelling and original works of its year. Set against the backdrop of Texas white trash, the picture opens with a torrential downpour that turns the mud-lot of a trailer park into the country cousin of war-torn Beirut. Amidst tire tracks turning into small lakes, apocalyptic squalor and lightning flashes revealing a nasty barking mastiff, a scruffy Chris (Emile Hirsch), drenched from head to toe, bangs on the door of a trailer. When it creaks open, a muff-dive-view of the pubic thatch belonging to his ne’er do well dad’s girlfriend Sharla (Gina Gershon) leads Chris to the bleary-eyed Ansel (Thomas Haden Church). 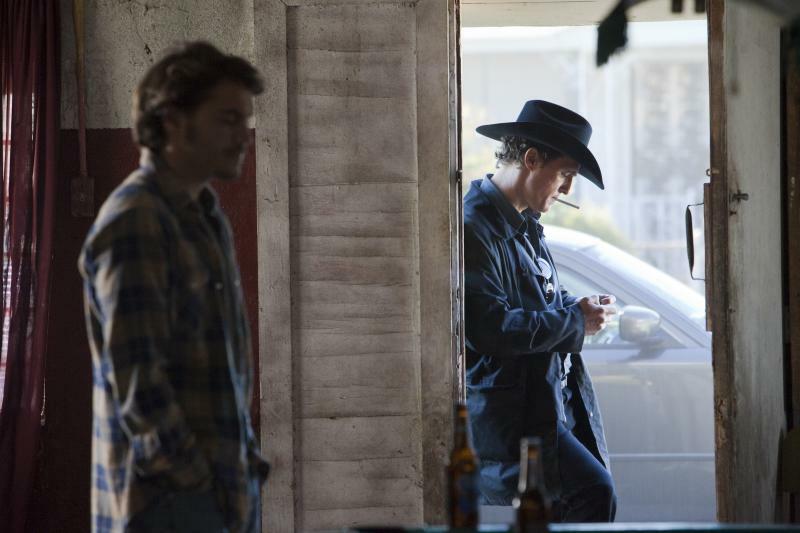 To secure the services of the charming Killer Joe Cooper (Matthew McConaughey) they need to pay his fee upfront. Father and son propose Joe take a commission on the insurance money once it pays out. This is initially not an acceptable proposal until Joe catches sight of the comely Dottie. He agrees to take the job in exchange for a ‘retainer’ - sexual ownership of Dottie. From here, we’re handed plenty of lascivious sexuality, double crosses, triple crosses and eventually, violence so horrendous, so sickening that even those with strong stomachs might need to reach for the Pepto Bismol. To mark the 40th anniversary of the film’s original release, STUDIOCANAL and the ICO are releasing a re-mastered digital print of Luis Buñuel’s surreal comedy The Discreet Charm of the Bourgeoisie in cinemas on June 29, including an extended run at BFI Southbank as part of their Jean-Claude Carrière season. Carrière has written the screenplays for many classic films including Belle de Jour, The Milky Way, Cyrano de Bergerac, The Tin Drum, La Piscine, Sommersby and The Unbearable Lightness of Being. The Discreet Charm of the Bourgeoisie is released on DVD, and for the first time on Blu-ray, on July 16. Grayham P. Puttock is the creator of Love&Ammunition comic. To see more visit dontlooknowcomics or contact Love&Ammunition@facebook. During the J-Horror boom of the late 1990s to the mid-2000s, no aspect of contemporary Japanese life seemed to be off limits to filmmakers aiming to make audiences jump out of their seats: from the videotape in Ring (1998), to wife-seeking in Audition (1999), to electricity in Pulse (2001), to an apartment leak in Dark Water (2002), to cell phones in One Missed Call (2004), directors such as Hideo Nakata, Kiyoshi Kurosawa and Takashi Miike appropriated aspects of consumer culture or domestic life to suit their respective scare tactics. 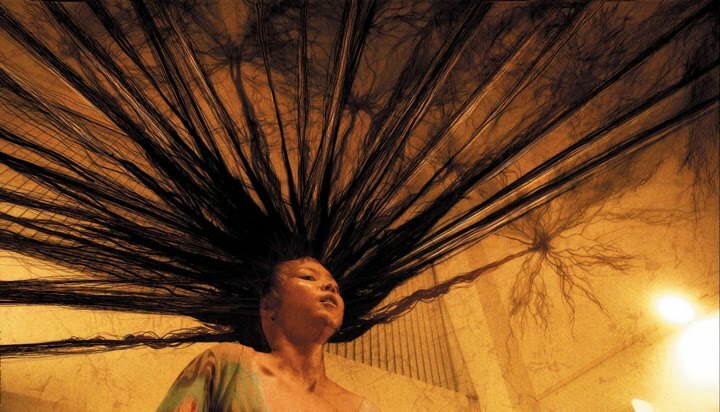 Arriving as the cycle was arguably running out of commercial and creative steam, Sion Sono’s Exte is a bizarre genre entry that adds hair extensions to the ever-expanding list of modern phenomena that you should beware of because it might be haunted. Distributed by major studio Toei and featuring a recognisable star in Chiaki Kuriyama, best known for playing violent schoolgirls in Battle Royale (2000) and Kill Bill Vol. 1 (2003), this was Sono’s chance to cross over into a lucrative market following a series of controversial independent films - Suicide Club (2001), Noriko’s Dinner Table (2005), Strange Circus (2005) - that firmly established his credentials as a cult auteur. Yet it finds the director working around, rather than adhering to, the rules of genre, suggesting a brief fling with the system rather than a bid for regular employment. Despite this dual identity, Exte succeeds in imbuing its urban nightmare scenario with the director’s trademark societal exposé to be sufficiently interesting for genre aficionados and Sono devotees alike. Exte opens with customs agents discovering large quantities of human hair in a shipping container, along with the body of a young girl. At the morgue, an autopsy confirms that the girl has been the victim of organ theft, probably committed by a human harvesting operation. Before the investigation can continue, night watchman Yamazaki (Ren Osugi) steals the body and takes it home, where he discovers that it is re-growing hair, not only from the head but also from other parts and orifices. This sexually excites Yamazaki, who is a hair fetishist, while also providing an additional stream of income as he is able to make extensions and sell them to salons. One business that he visits is the place of work of Yûko (Chiaki Kuriyama), a stylist who is taking care of Mami (Miku Satô), the eight-year-old daughter of her irresponsible sister, Kiyomi (Tsugumi). The staff of the salon are impressed by the quality of Yamazaki’s extensions, but the employee who tries them on is killed later that night: the dead girl has a score to settle with society, and her hair is able to control the minds of those who wear it, sharing her horrible experience on the operating table, before committing murder from beyond the grave. Yamazaki’s infatuation with the hair of Yuko and Mami places them in danger, while Sono has macabre fun with his main prop: hair sprouts from eyes and mouths, holds police detectives captive, and slices with the severity of a very sharp knife. As with his subsequent ‘true crime’ stories Cold Fish (2010) and Guilty of Romance (2011), which favoured narratives of transgression over accurate dramatisation of the facts, Exte finds Sono demonstrating a general disregard for the genre in which he is operating: this is ostensibly a horror film, yet the director spends as much time exploring the fractured family unit as he does staging the requisite shocking set pieces. Mami is a neglected child, and possibly a victim of abuse: the sadistic Kiyomi uses Mami as a means of accessing her sister’s apartment to steal food and raid the wardrobe for new clothing, while treating her daughter as a punching bag when her mood swings. Sono also throws in enough darkly humorous details and lines of dialogue to suggest that he does not take the genre as seriously as his contemporaries: the name of the salon is Gilles de Rais, a reference to the 15th-century French mass murderer, and lines like ‘My nose hair’s out of control lately’ openly acknowledge the ridiculous nature of the premise. Even some of the expository exchanges are played for knowing laughs, such as Yuko’s conversations with her roommate. However, there are some very strange special effects to satisfy gore-hounds, with hair shooting out from a woman’s head, attaching to the ceiling, then lifting her up before dropping its victim to her death. Exte would be immediately overshadowed by the epic satire of Love Exposure (2008), but it remains a typically subversive, and occasionally brilliant, Sono experience. The Apartment is the story of a Manhattan apartment used for illicit sexual liaisons by company executives who in return give its owner, their lowly colleague C.C. Baxter, good efficiency ratings and fast track promotions. Baxter (Jack Lemmon) works in the ‘Ordinary Premium Accounting’ department at a large insurance company. His desk is one of many situated in rows of hundreds in an open plan office. 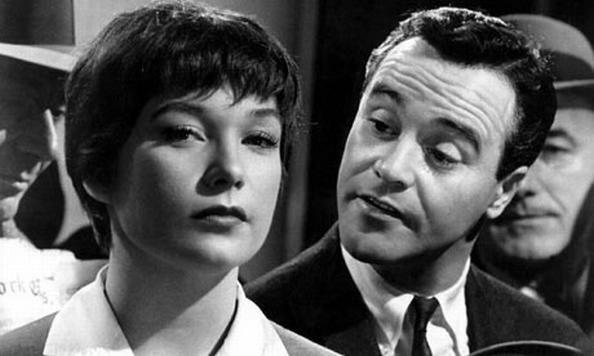 Those ‘using’ the apartment are all his superiors with their own offices and keys to the executive washroom, and their liaisons are with their secretaries, the switchboard girls and the elfin elevator assistant Miss Kubelik (Shirley MacLaine), with whom Baxter falls in love. Such is the insular world of this office tower block whose employees outnumber the residents of Natchez, Mississippi. The script (co-written with regular collaborator I.A.L. Diamond) is so brilliantly crafted you could just sit and marvel at its perfection. It even creates its own syntax, dialogue-wise. There are a smattering of topical 1960s jokes and a few in Yiddish that might need translating but much of the humour is universal and the film is as funny now as it surely was 50 years ago. Wilder’s films in general are so well written it is easy to credit him as a screenwriter and overlook his talent as a director. For Wilder, the screenplay came first and the other elements worked to support it - his gravestone even reads, ‘I’m a writer but then nobody’s perfect’. But that doesn’t mean that mise en scène, cinematography, sound or even editing are without imagination, or that his work is any less cinematic. The editing may be classically smooth and unobtrusive but when the film cuts seamlessly from a suicide attempt to a drunken dance routine with the melodramatic death music morphing into the jukebox’s cha-cha-cha, we can see Wilder taking unobtrusiveness to another level. The film has a great look - the cocktail bars thick with smoke and bustling with Christmas drinkers (even Santa Claus himself orders a whiskey); the open plan office with its geometric patterned ceilings. The art direction was by the great Alexander Trauner who used forced perspective to show the masses of office staff. The rows of desks were built smaller and smaller with those furthest away being peopled by children in business suits. The apartment itself is a wonderful creation, a quirky combination of thrift-store furnishings and technical innovations, including a very impressive remote control television. In Jack Lemmon, Wilder seems to have found his perfect star. The Apartment was the second of seven films they were to make together. His C.C. Baxter is anxious, self-pitying, sickly, weak-willed but still the film’s hero. Like his Daphne in Some Like It Hot (1958), he is unable to say no to escalating requests. He is lacking in moral fibre and non-judgemental to a fault. Even Fred MacMurray’s charming philanderer Sheldrake has stronger, if skewed, sense of justice as he complains of how unfair it is for his mistresses to expect him to divorce his wife. The moral world of The Apartment is one of those who take and those who get taken, or of ‘finks’ and ‘schmucks’. Baxter is the latter. The re-issue material seems to play up the Mad Men connection. The early 1960s inter-office politics (particularly the sexual politics) have a lot in common with Matthew Weiner’s TV show as does the drinking and smoking at work and the after-work cocktails (a Frozen Daiquiri, a Rum Collins or a dozen Martinis). Was every office worker in New York permanently sauced? However, the philanderers in The Apartment are much less classy than Don Draper - actually even less than Roger Sterling. As the switchboard girl complains, she hoped he would take her to ‘Twenty One’ but instead had to settle for ‘Hamburg Heaven and some schmuck’s apartment’. The gulf between the advertising world of Mad Men and the insurance industry of The Apartment is exemplified by Mr Dobisch can-can-ing in sock-suspenders at the Christmas party. Male-female relationships have rarely been viewed with such relentless pessimism. The Apartment has to be the least romantic rom-com ever. However, the film’s darker comedic moments are deftly handled and Wilder side-steps the moral maze he has led us into with yet more well-timed gags. When assessing his own work Billy Wilder described The Apartment as being the film with the fewest mistakes. And he is right: it is as near to perfect as is possible. From being one of Germany’s most successful silent film directors Fritz Lang moved to Hollywood in the mid-30s, leaving his wife/collaborator Thea von Harbou behind. Although he was raised as a Catholic, the Viennese-born director had a Jewish mother. Despite this, he was apparently invited by Josef Goebbels to head film production under the Nazi government - a job offer he refused. However, in America he would never again be given the huge budget, year-long shooting schedule, elaborate sets and cast of thousands that he had in making the sci-fi epic Metropolis (1927), nor would he make anything as long as the five-hour epic Die Nibelungen (1924) or even as dark as M (1931) - the shadowy story of a child murderer. Yet somehow, with his staple of small-scale unpretentious genre pictures Lang flourished. For the next 20 years he turned out a collection of noirs - The Big Heat (1953) - Westerns - Rancho Notorious (1952) - spy thrillers - Man Hunt (1940) - and even a musical - You and Me (1938) - that make up an oeuvre as great as any in the studio system. You Only Live Once was Lang’s second American film. It stars Henry Fonda as Eddie Taylor, a former criminal paroled from jail who marries the girl who has waited three years for him, only to find that life as an ex-con is not easy. The honeymoon lasts less than one night as the hotel owner recognises him from a crime magazine and asks the couple to leave in the morning. He is fired from his job as a truck driver - his boss refusing to listen, chatting to his wife on the phone, as Eddie makes his desperate pleas. Fonda is perfectly cast as the hard-pressed, good-hearted reformed criminal but has the ability to transform into a desperate killer with a gun in his hand. Sylvia Sidney is Jo, the smitten nice girl who not only is able to see the good beneath the criminal but is perhaps, like Sissy Spacek in Badlands (1974), secretly attracted to his darker side. The moral waters are certainly murkier than we would expect from 30s Hollywood, and good and bad are much more ambiguous than in the fairy tale world of Metropolis. Lang never really makes it clear that Eddie is really not guilty of the robbery and murder - the monogrammed hat that convicts him is ‘stolen’ off camera and the bank robber or robbers are wearing gas masks. Yet, despite this, Eddie and Jo stand in contrast to the petty meanness of the ‘law-abiding’ citizens. Whether exaggerating a robbery so they can clear out the till themselves or cheating at draughts, the supporting cast are almost universally self-serving and dishonest. Even the police are seen stealing apples from a greengrocer. But unlike the world-weary heroes of the films noirs Lang would make in the following decade, Eddie and Jo never give up on love and hope. They always believe they can escape this uncaring, dishonest world where innocent frogs are mutilated by children. Lang shows how well he adapted to the pacing of American cinema. You Only Live Once is a rollercoaster ride of hope and disappointment followed by more hope and yet more disappointment. There is little of the expressionist style of his German films. There is an eerie fog-bound prison break but the cinematography, like the sparse sets, is largely functional, either driving the plot or setting a mood - the romantic croaking frogs in the pond at the honeymoon hotel being particularly memorable. There are scenes of great visual imagination that remind us that we are watching one of silent cinema’s great directors at work. Hope is raised by a newspaper headline reading ‘Taylor freed’, only to be dashed seconds later as we are shown two alternative front pages - no decision or the death penalty - as the printers wait for a phone call to decide which to go with. The set piece robbery - witnessed by a blind man in a haze of tear gas - is a purely visual tour de force. As with the poetic realist films made in France at the same time it is the hand of fate that rules the plot. Any attempt the characters make to build a life for themselves is scuppered by unforgiving bosses, paranoid hoteliers or just bad luck - the ticker tape news arrives just in time and too late. The heavy air of pessimism is hardly diluted by the pseudo-religious ending and stands in stark contrast to the more upbeat or escapist feelings we associate with 30s Hollywood cinema. 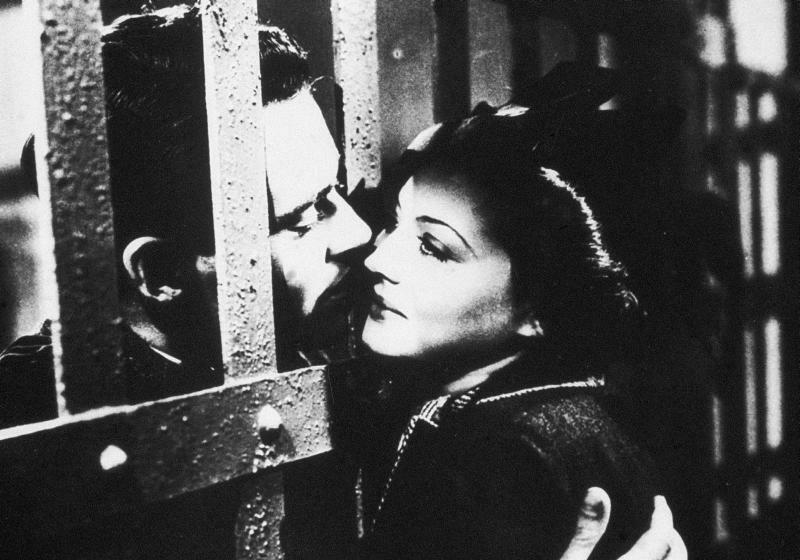 Although You Only Live Once looks like a precursor of film noir it could also be seen as part of the series of Depression-era social dramas such as I Am a Fugitive from a Chain Gang (1932). The final reel, as the lovers go on the lam together, contributed to create a sub-genre that oddly seems to be made of almost entirely great films from They Live by Night (1948) and Gun Crazy (1950) to Pierrot le Fou (1965), Bonnie and Clyde (1967), Badlands and many other great films as well as Natural Born Killers (1994). As much as Lang adapted to Hollywood it seems American cinema adapted to him. Along with other expats such as Billy Wilder, John Alton and Robert Siodmak, Lang was to lead the way to that great crossroads of European and American sensibilities: film noir,the style/genre in which he was to make his greatest work - Scarlet Street (1945), The Big Heat and The Woman in the Window (1944) stand alongside the afore mentioned M as Fritz Lang’s greatest achievements. Hard-up 1930s Depression-era cinema-goers were eager to escape the everyday in a tantalising world of the strange and uncanny. The success of Universal’s Dracula (1931) and Frankenstein (1931) saw other studios keen to carve themselves a bloody slice of the action. Paramount seized H.G. Wells’s anti-vivisectionist novel The Island of Dr Moreau, adapted to become Island of Lost Souls (1932). 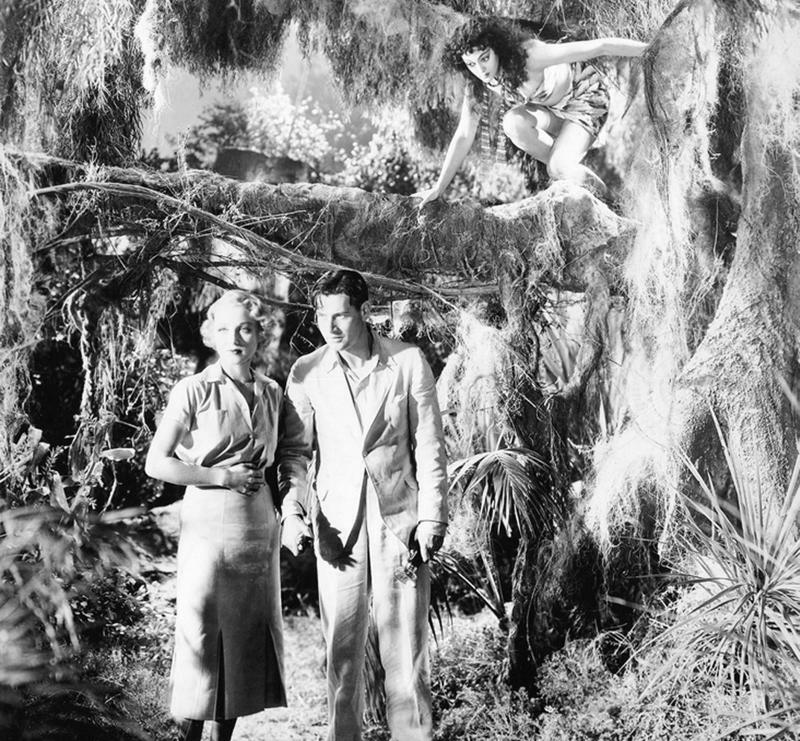 Designed to combine grotesque thrills with jungle drama (another hot genre at the time), it was knocked out quickly by work-a-day director Erle C. Kenton. Little did the studio know that the end product would be one of the weirdest, creepiest films to emerge in the pre-Hays Code era and would defy time to become a transgressive horror classic. Finally out on DVD after years of fuzzy bootleg VHS copies, Island tells the tale of square-jawed Edward Parker, marooned on the eerie South Seas island of sinister scientist Dr Moreau (the wonderful Charles Laughton). Parker is shocked to discover that Moreau has created a shambling experimental race of half-human, half-animal creatures, some cloven-hoofed, some sprouting hair in unusual places, who live in the jungle, obedient to Moreau lest they be summoned to his sadistic ‘house of pain’. Moreau’s latest creation is the sensual Panther Woman. Looking rather unlike Moreau’s other creations – more like an alluring animalistic Betty Boop – she has never seen a handsome man before. In the name of science, Moreau unleashes her on hunky Parker - and that’s when the trouble starts. As mad Moreau, Charles Laughton dominates proceedings with an incredible performance that veers expertly between quietly understated and the edges of overblown. Like Colin Clive’s Dr Frankenstein, he compares himself to God; but Laughton’s Moreau is not a misguided would-be do-gooder; he is a cheerfully unhinged genius who revels in doing evil. Beaming proudly at the screams of his botched animal-human hybrids, cracking his whip over the awful monsters he’s created, lounging decadently across his vivisection table like a modern day Roman emperor, or simply oozing creepiness as he offers a guest a cup of tea, Laughton plays his part with delicious relish. Somehow he convinces the viewer that despite his odious transgressions against nature, humanity and God, he’s rather a fun fellow really; despite the fact that he is a thoroughly nasty piece of work, we remain sympathetic to him right to the end. This creepy moral paradox is central to the film’s unique, unsettling, perverse power. Bela Lugosi, the ‘Sayer of the Law’, the chief experimental-reject responsible for conveying Moreau’s orders to the beast-men, deserves mention (as always). Despite sporting a mighty brush of facial hair that would infringe upon anybody’s expressive powers, he turns a lemon of a minor part into lemonade, delivering a convincing, memorable portrayal through pure energetic force of will. â€œAre ve not men?â€ he demands of his savage brethren, in that inimitable distinctly un-South Seas voice of his. And he means it. Some of the so-called ‘civilised’ characters are equally fascinating - from the booze-addled, neglectful skipper who thinks nothing of heaving Parker from his boat, before later attempting to chat up his fiancée, to a pipe-puffing disgraced medic, who finds hope of redemption in Moreau’s demise. It all looks terrific thanks to legendary cinematographer Karl Struss. Like many of the early sound horrors, it has that distinctly creepy quality, an indefinable spookiness that faded away somehow as horror got glossier towards the 1940s. Struss’s camera is always moving, pulling back and forwards through crowded, labyrinthine sets. From the fog-shrouded ship-bound scenes to the steamy verdant undergrowth, he takes us to a distant place. We feel the oppressive claustrophobia of the jungle. In one justly renowned sequence, a succession of imaginatively made-up horrors lurch vengefully towards the camera to attack their master (British make-up specialist Wally Westmore gives Universal’s Jack Pierce a run for his money here). Briefly glimpsed, gangly, dark and hairy, they strike a potent contrast with glistening, corpulent, baby-faced Laughton in his vivid white suit, before they gleefully turn on him in one of the most gloriously twisted finales to grace a 1930s horror. Wells was outraged by what they’d done to his novel and disgusted by the insertion of a sexual, sensual edge. The British censor banned the film outright for many years; and, even today – perhaps especially today, in these times of genetic experimentation - this tale of man messing with nature retains its creepy potency. Throw out your VHS, the DVD looks great. This is absolutely your best chance to see whether – as is rumoured – Buster Crabbe, Alan Ladd and Randolph Scott really make unbilled appearances as beast-men. 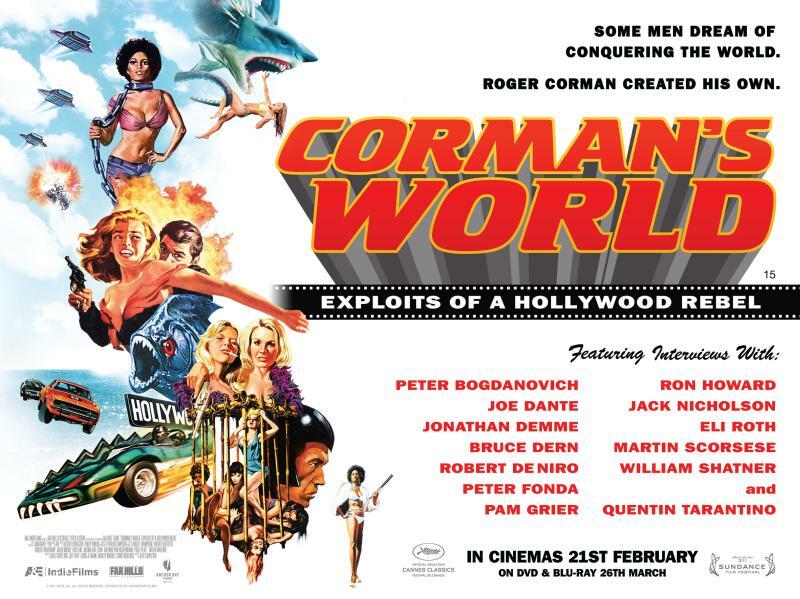 Let’s hope some of the other great forgotten horrors of this era can get a similarly lavish make-over. Can we start with White Zombie (1932)? Kaneto Shindô’s The Naked Island is arguably one of the masterpieces of the Japanese New Wave, yet the saga of its production is just as compelling as the events depicted on screen. Set on a small island in the Setonaikai archipelago, the body of water that separates the three main islands of Japan, this is a story of hardship that frames the struggles of a peasant family against an awe-inspiring yet unforgiving landscape. 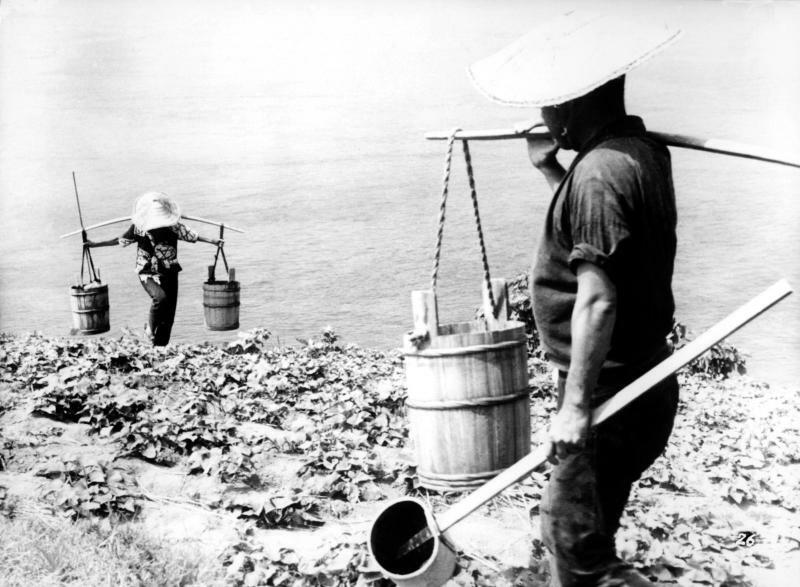 It was also a location that would test Shindô’s resilience throughout the two-month shoot, with the treacherous natural environment serving as an appropriate metaphor for the economic conditions under which the director was working. The Naked Island was financed through the independent company Kindaï Eiga Kyokai, which was founded by Shindô, fellow director Kôzaburô Yoshimura, and actor Taiji Tonoyama when the two filmmakers left Shôchiku Studios to develop personal projects without restriction. Yet audiences did not share their concerns. Politicised films such as Lucky Dragon Number 5 (1959), which criticised atomic bomb testing, failed commercially, and as his company was on the verge of bankruptcy Shindô embarked on The Naked Island with a budget that was one-tenth the national average. If a family member had been shooting behind-the-scenes footage, or if the film had been made during EPK (electronic press kit) era, then a documentary about the production of The Naked Island would rival Hearts of Darkness: A Filmmaker’s Apocalypse (1991) and Lost in La Mancha (2002) as an examination of an ambitious project on the brink of collapse. The Naked Island will be released in the UK on Blu-ray by Eureka Entertainment on 17 June 2013. However, such a record is perhaps unnecessary, as anyone with some knowledge of the production process of The Naked Island, or the geographic region in which it was shot, will be able to appreciate the difficulties that Shindô and his crew dealt with on a daily basis. Although the film is infused with a poetic quality that is enhanced through the almost total absence of dialogue, this is very much a realistic vision of island life: surroundings are not presented as a utopian paradise, but as tough terrain with limited hydrologic resources. The problems caused by the lack of water largely constitute the minimalist narrative as the family, who are the island’s only occupants, obtain water for their plants and themselves by rowing their boat to a neighbouring island. This task is undertaken alongside other physically draining chores, carried out while unprotected from the heat of the sun, resulting in a cyclical experience for both the protagonists and the audience. Drudgery eventually leads to disaster: while the parents are away from the island, their older son falls ill, and his father must race to find a doctor before his offspring’s symptoms prove to be fatal. Such drama would usually inject urgency into a study of the family unit, but Shindô maintains the detached approach of a documentarian. He positions the family as hard-working farmers trying to live off the land, but is unsentimental with regards to their predicament. Nature is in control of both their future and the rhythm of Shindô’s filmmaking. The Naked Island evokes the necessary routine of life away from civilisation through the constant sound of waves and Hikaru Hayashi’s haunting score, which mostly repeats the same melody throughout the film. Kiyoshi Kuroda’s striking cinematography captures each area of the island with such clarity that the family’s constant struggle becomes deeply moving, despite Shindô’s restraint. Nagisa Ôshima famously criticised the film, suggesting that Shindô had conceded to the image that other countries had of Japan in order to achieve overseas success. Beyond its setting, however, The Naked Island is characteristic of Japanese cinema in that it emphasises steadfast determination in the face of seemingly insurmountable adversity: the only ‘reward’ that the family receives for suffering the trials of the island is being able to carry on living until their shared willpower runs out. Shindô was more fortunate as The Naked Island was awarded the Grand Prix at the 1961 Moscow International Film Festival in a tie with Grigori Chukhrai’s Chistoye nebo (1961), with sales to international distributors rescuing his company in its hour of need. In addition, the firm relationships that were formed with Hayashi and Kuroda under considerable pressure led Shindô to adopt a collective mode of production that would result in such subsequent classics as Onibaba (1964) and Kuroneko (1968). When he went out on location, the financially desperate Shindô thought that The Naked Island would be his last film, but it instead resulted in the kind of resurgence that can only come from the most trying of circumstances.